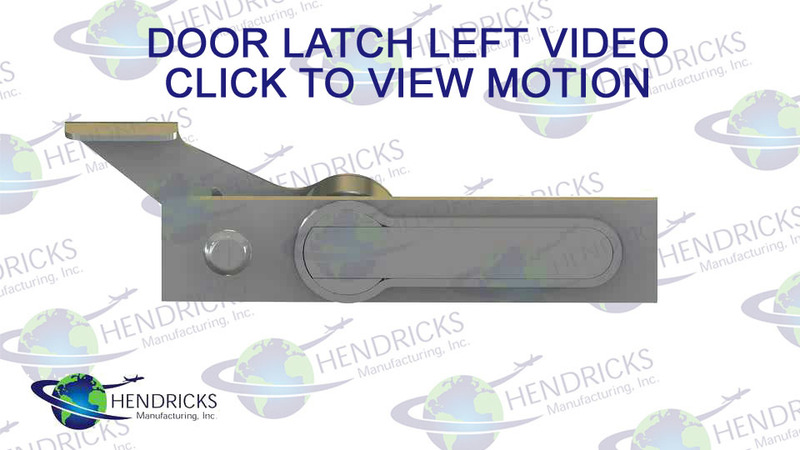 Experimental Aircraft Door Latch Hendricks Manufacturing, Inc. 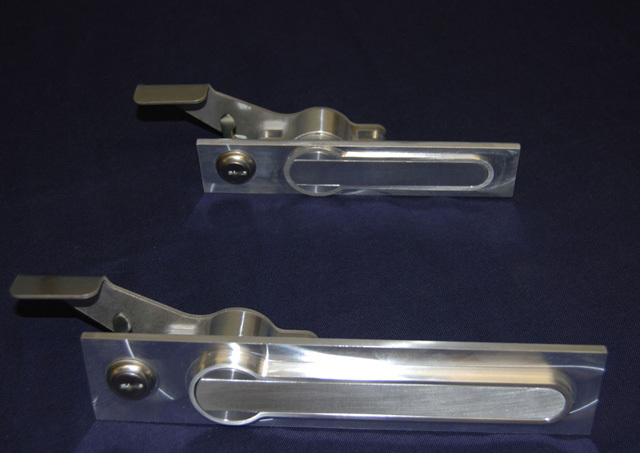 Interior handles are not included, but you may purchase either our original handle, the X14 handle or make your own. 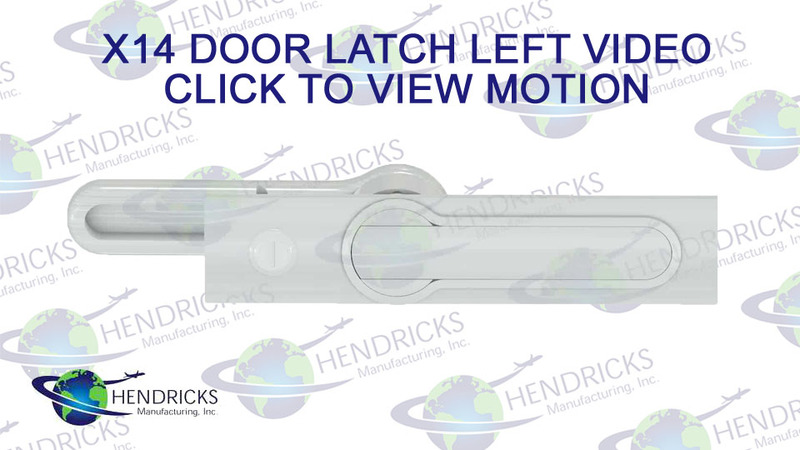 This latch operates just like our Original Latch, but is smaller, thinner and does not have a lock. 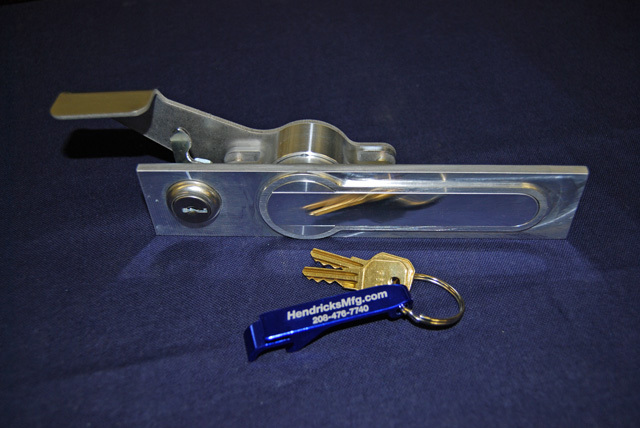 The linkage rods are not included. 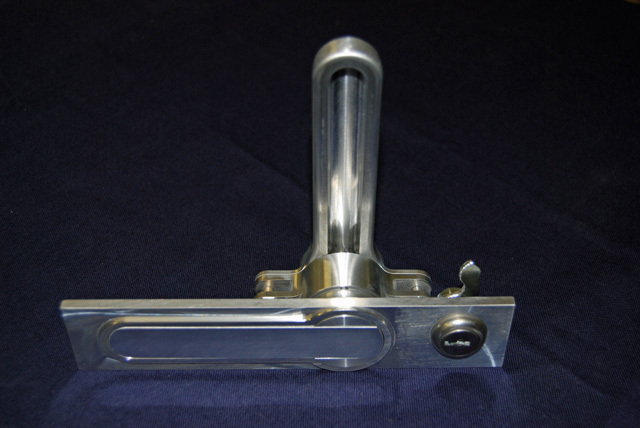 Interior handle is not included, but you may purchase either our original handle, the X14 handle or make your own. 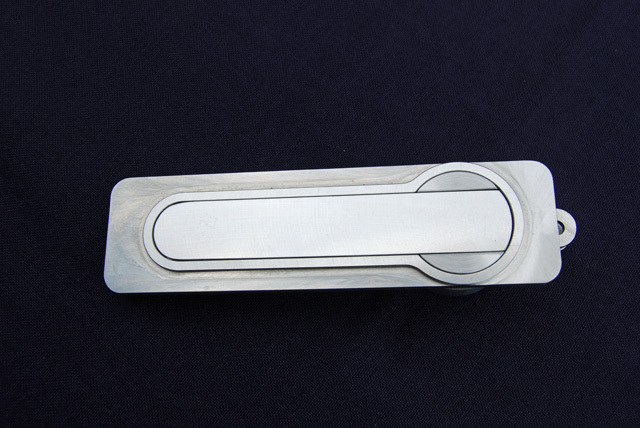 Interior handle designed to mount flush into armrest. 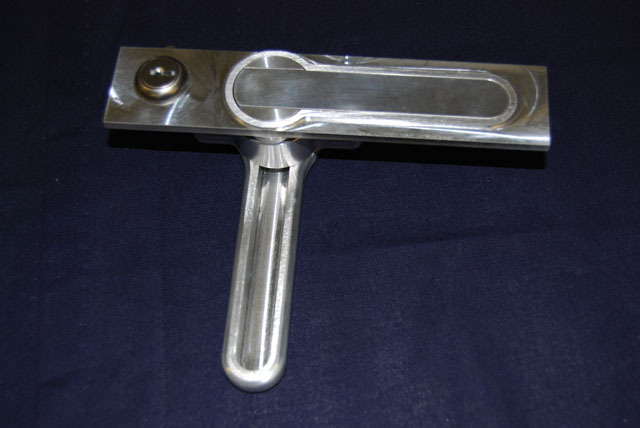 Allows for a 90° rotation where the interior handle pointing in the Up position is open and where the handle pointing in the Down position, as shown, is closed and locked. 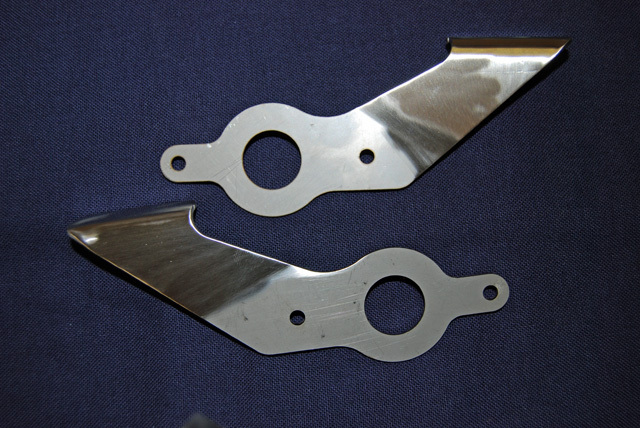 If you need another style to adapt to your particular application, please call for pricing. 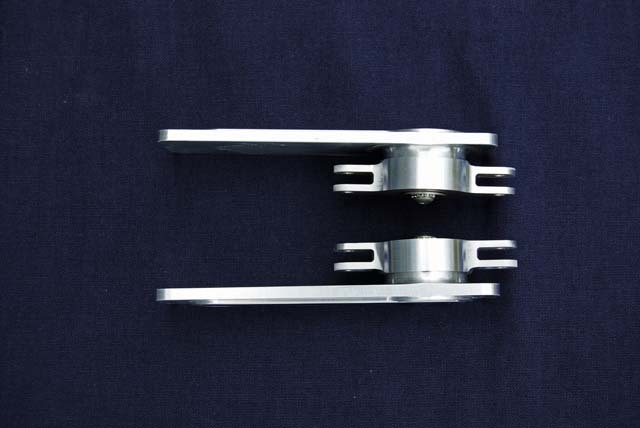 The linkage rods are not included. 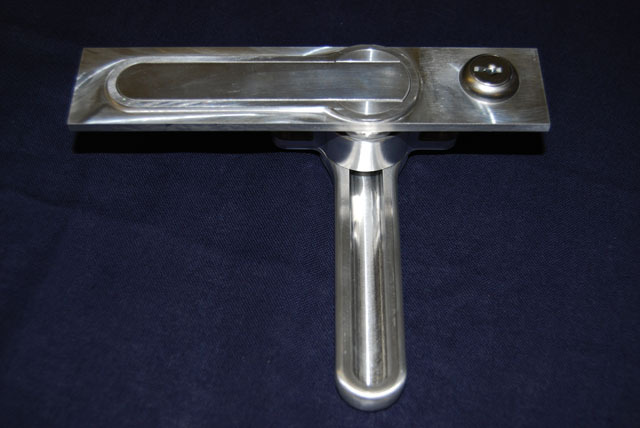 Allows for a 90° rotation where the interior handle pointing in the Up position is open and where the handle pointing in the Forward position, as shown, is closed and locked. 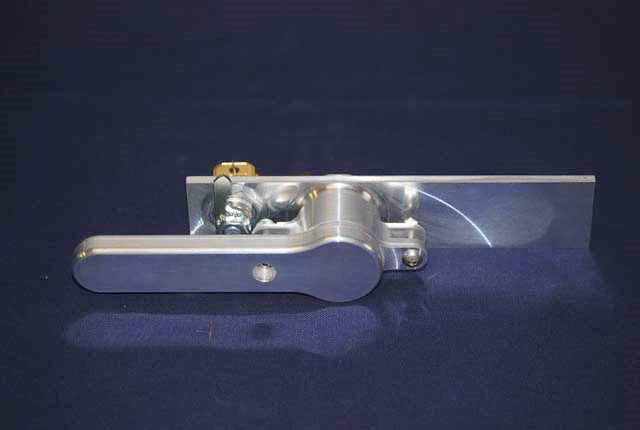 Allows for a 90° rotation where the interior handle pointing in the Up position, as shown, is closed and locked and where the handle pointing in the Aft position is open. 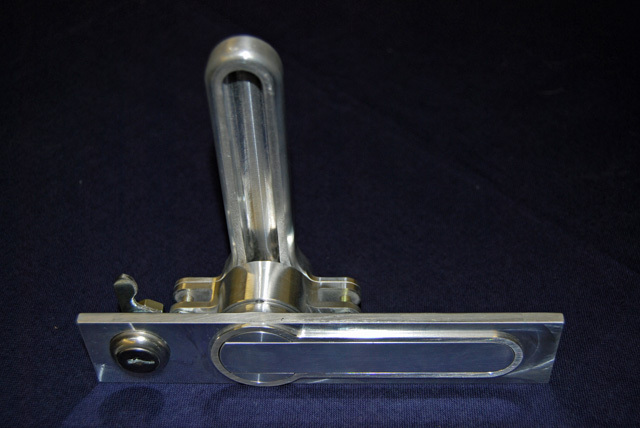 Allows for a 90° rotation where the interior handle pointing in the Down position, as shown, is closed and locked and where the handle pointing in the Forward position is open. Customer special orders have made this available for purchase. 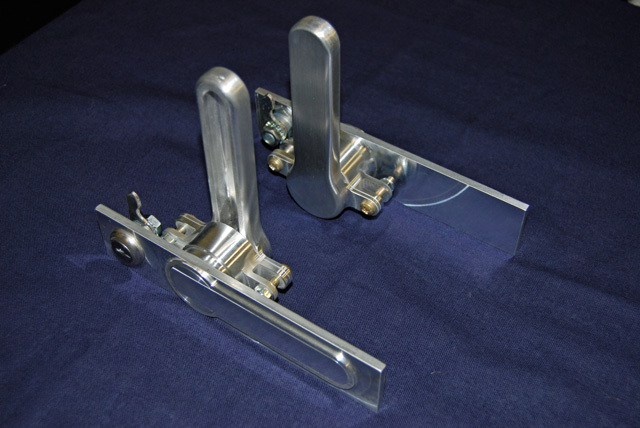 This is a Right Latch turned upside down to be used on the left side on the Cozy Mark IV. 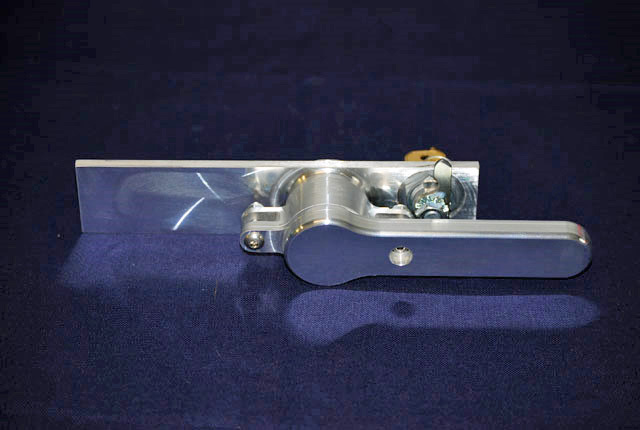 Modifications have been made that allow for a 90° handle rotation where the interior handle pointing down, as shown, is in the closed and locked position and where the handle pointing aft is the open position. 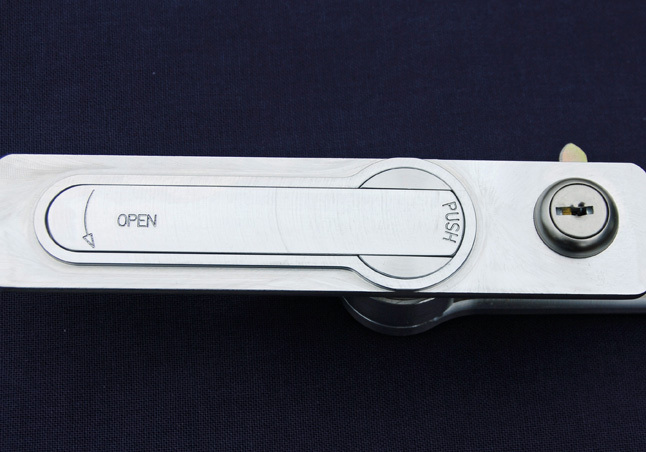 Engrave instructions on how to operate the latch on the exterior handle. 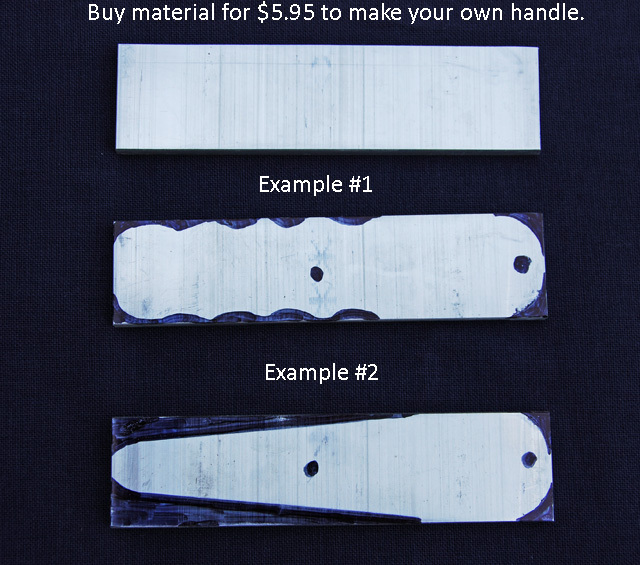 Pricing is per handle. 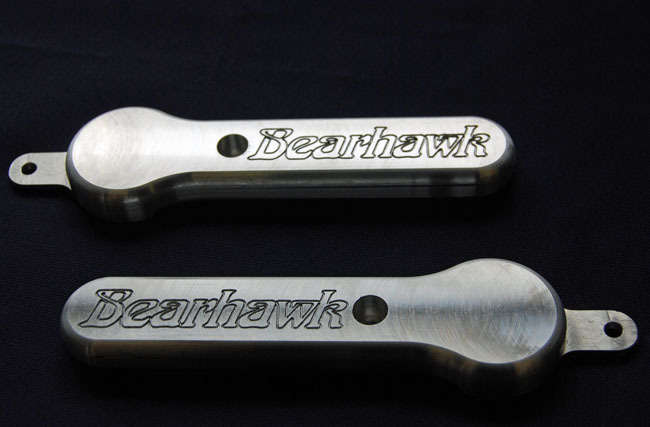 Custom Engraving on Exterior Handle or X14 Style Handle. Pricing is per handle. 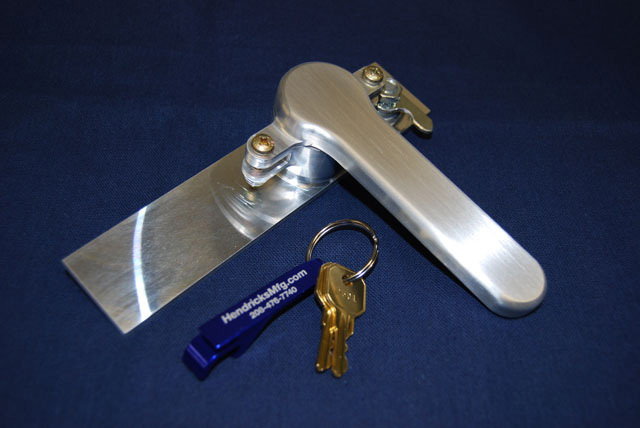 Same as the Original Latch but 50% larger with a wider base and deeper recess to accomodate thicker door. 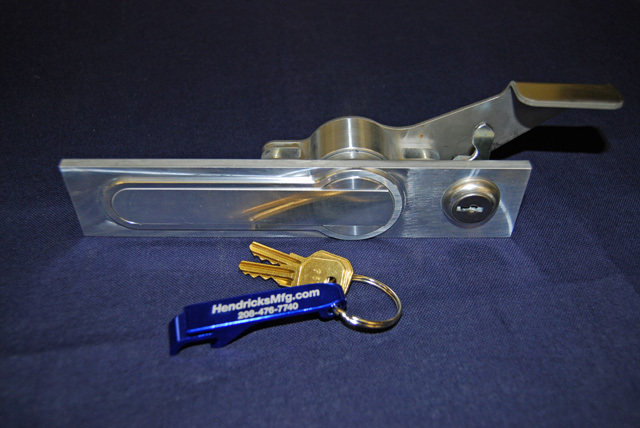 Allows for a 90° rotation where the interior handle pointing in the Up position is open and where the handle pointing in the Down position, as shown, is closed and locked. 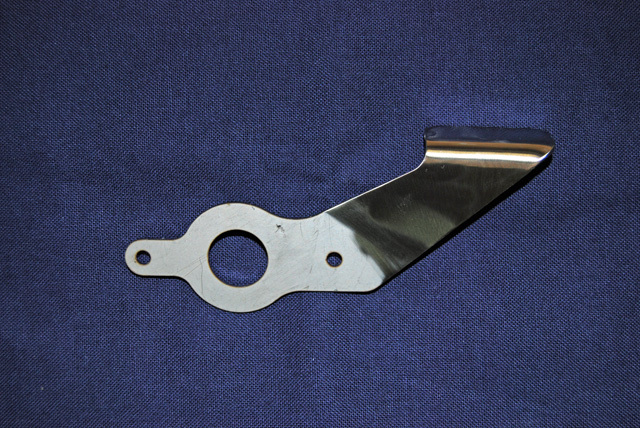 The linkage rods are not included. 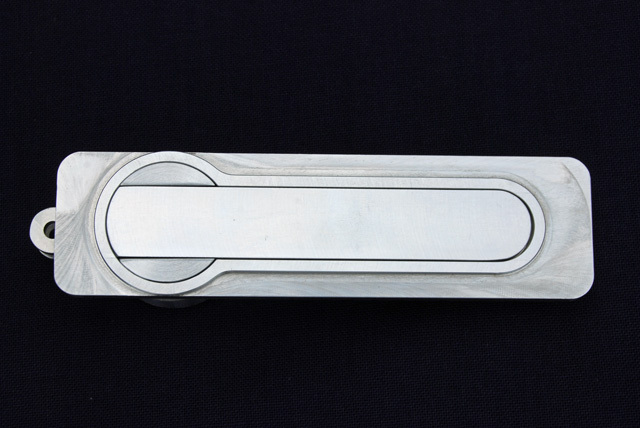 Purchase material to create your own interior handle with an Aluminum Blank. 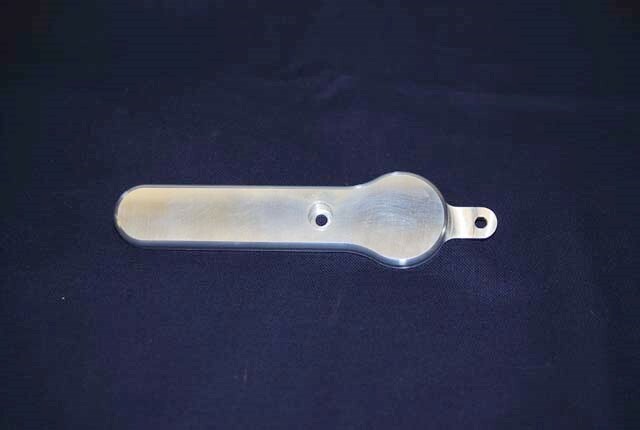 Material is 0.25" x 1.25" x 5". 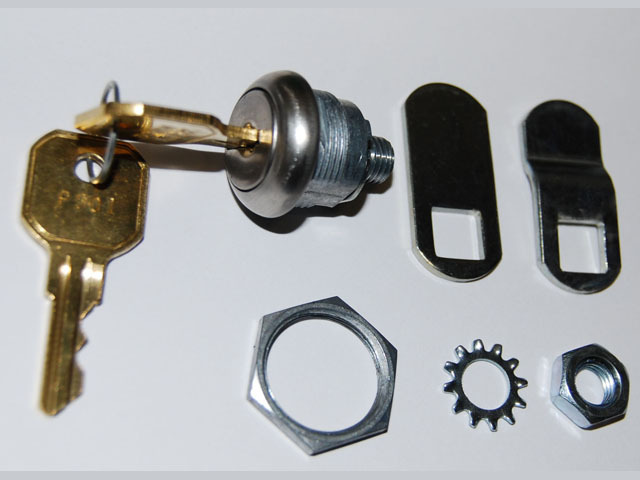 The bottom blanks are just examples, you will receive a blank piece of material. 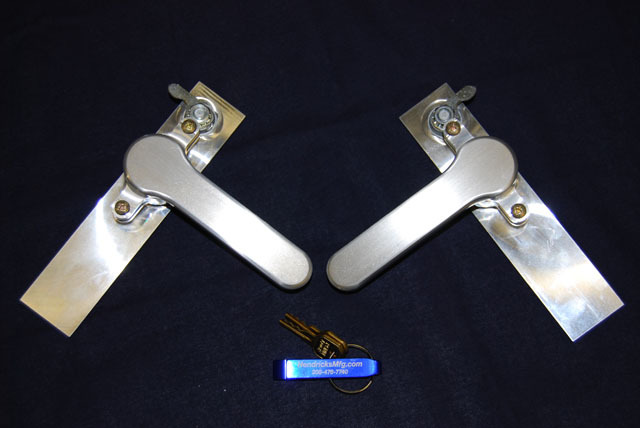 Purchase Matching Locks for Baggage Doors, Toolboxes, Etc. 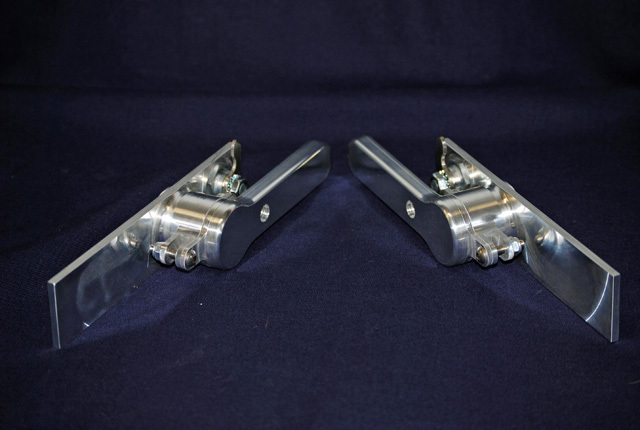 Two cams are provided, one flat and one with an 1/8" offset. If you are matching an already purchased set, please provide key number to match. Price changes to $9.95 with purchase of more than one. 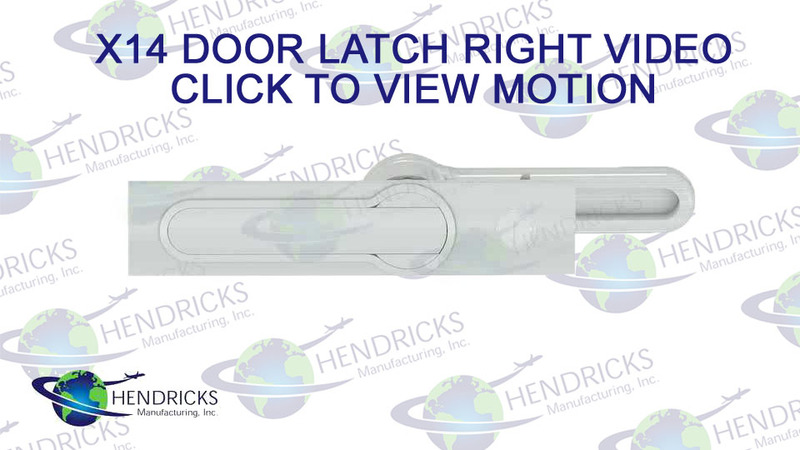 Designed for gull wing door but has been adapted to fit virtually any style of door or canopy with appropriately designed linkage rods. 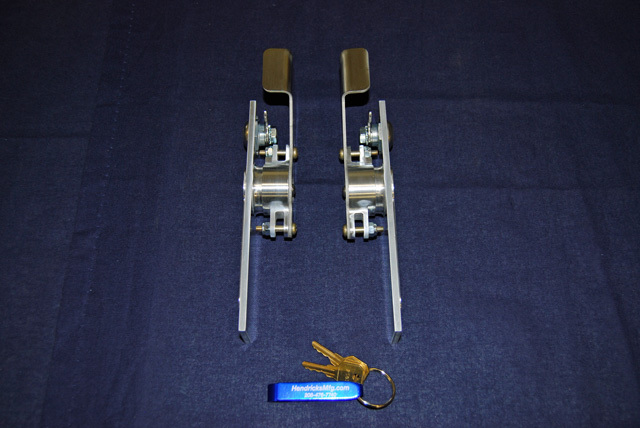 The linkage rods are not included. 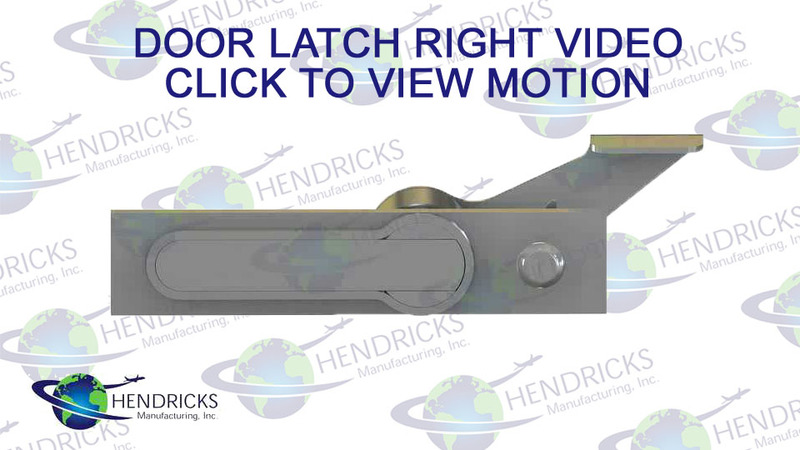 Not just for airplanes, the latch has been installed on helicopters, cars, and boats. 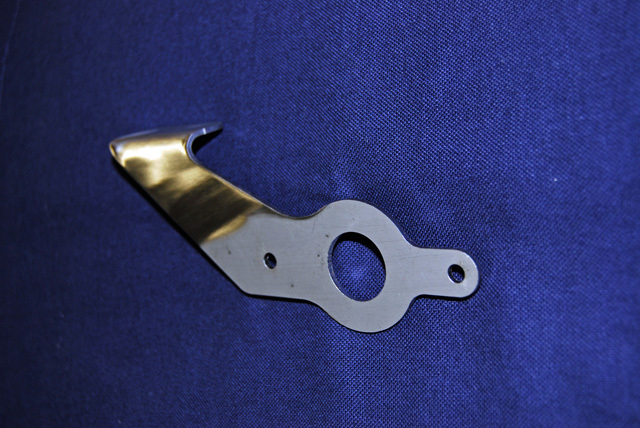 Please call for large quantity pricing discounts or special requests. RV-4, RV-10, Cozy MK-IV, Murphy Moose, Wheeler, Ravin, Pulsar, Midget Mustang, Experimental Cub, Stallion, Zenair and many more.